Learn how to organize a successful brain dump so you can let go of feeling overwhelmed. Schedule a doctor appointment, pick up soccer snacks, call that friend back, read a chapter of the book, the list goes on and on. Have you ever had constant thoughts flying through your mind or an endless display of sticky notes with random notes on them? There really is an endless stream of thoughts going through a mom’s brain, and many times this can lead to feeling overwhelmed. When you feel overwhelmed, it is natural to feel stuck. 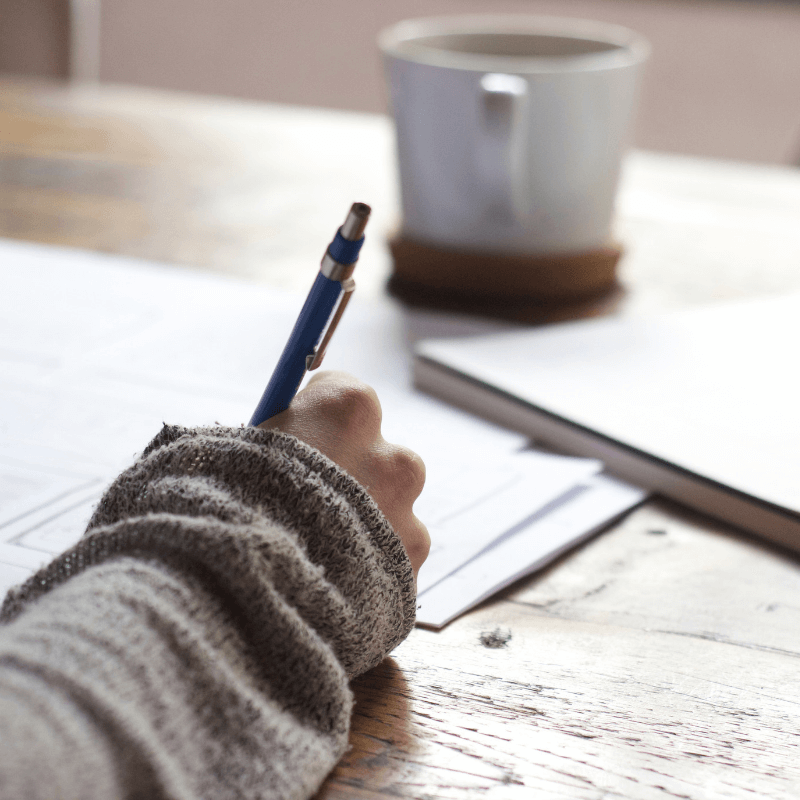 One of the best ways to tame the overwhelm is to do a brain dump. A brain dump is writing down everything that comes to your mind. Basically it is a massive unorganized list. However if you just write it all down and then leave it, you have only done half of the job. 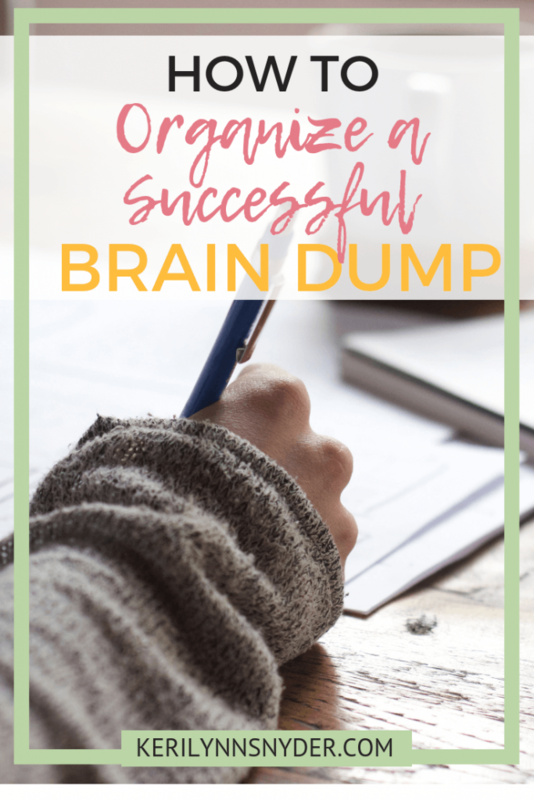 Today, I want to share how to organize a successful brain dump. Take out a piece of paper and write down all of the things. This is when I also grab all of those sticky notes and add those notes to my list. Add some order to the brain dump. On a different piece of paper, write phone calls, emails, things to do, errands/appointments down. Each of these are titles so leave space under them for tasks. Personally, I like to separate things to do into personal and work. Go through your brain dump and put each task under the appropriate title. Go through the list and put a star by the tasks that must be accomplished that week. These are not things that you would like to get done this week but things that MUST be accomplished this week. Now your brain dump is organized and ready for the next step! Join me tomorrow as I share how to prepare your list on Sunday! Thanks Rebekah! It has been so helpful for me!